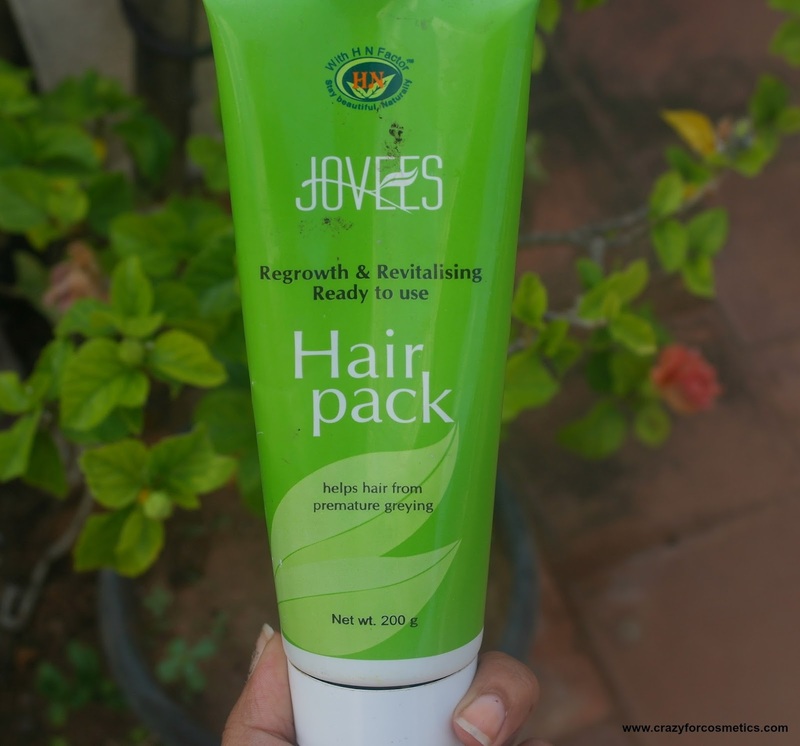 The Jovees Regrowth and Revitalizing hair pack comes in tube packaging which is very comfortable for usage and you can easily squeeze out the required quantity. To it you can add either a egg or some yogurt and apply it to the scalp, leaving it there for an hour and washing it off using just plain water. Ì oil my hair 2 days later and wash using my regular shampoo and conditioner. 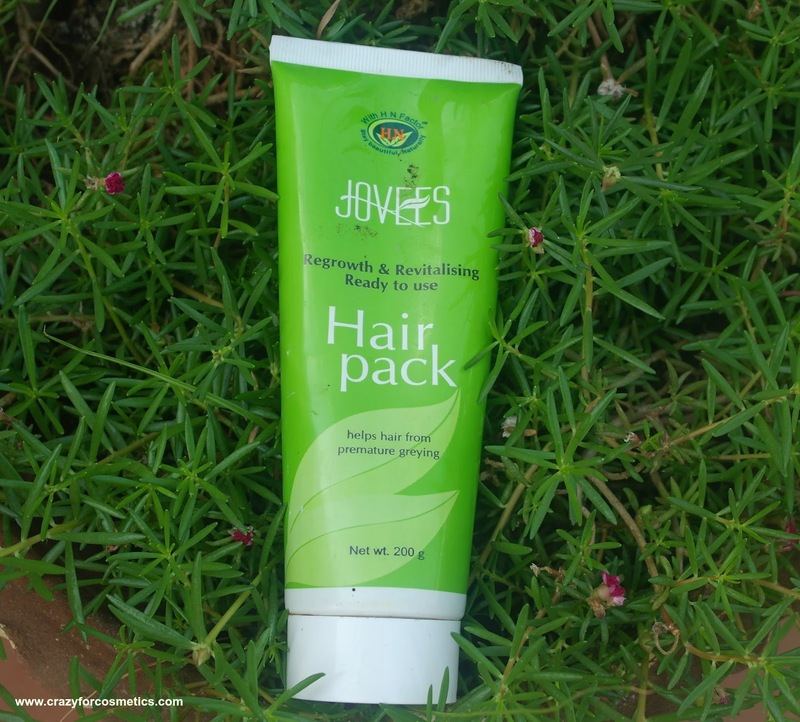 The hair pack has got a medicinal smell that is not very appealing , but when I mix it with henna, I do not mind the smell.The ingredients in the hair pack are Amla, Bringharaj, Palasbeej and Jatamansi. I am sure many of you would have heard that Amla can fight premature graying of hair when either consumed or used externally. 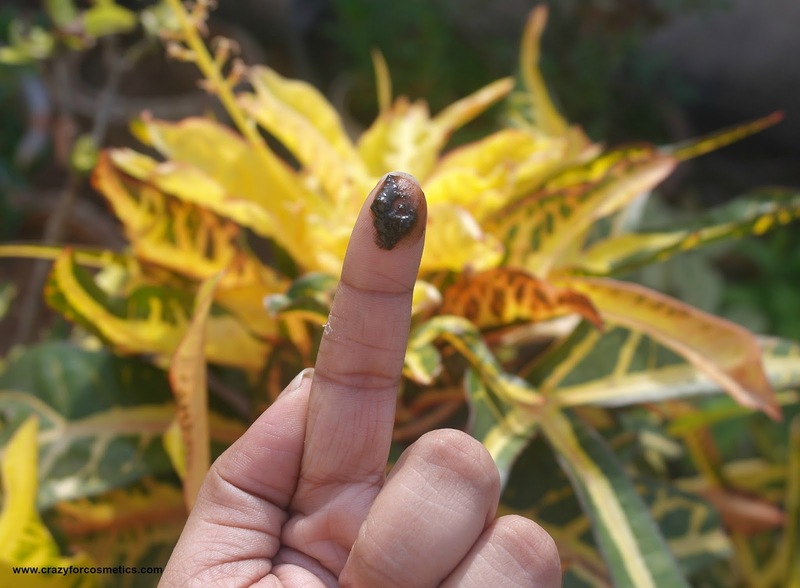 Bringhraj is supposed to trigger growth of new hair and is used in all Ayurvedic oils. I am not aware of the purpose of the other ingredients used in this hair pack like Palasbeej and Jatamansi. The consistency of the hair pack is quite thick and it has to be diluted with water as per the instructions but I prefer curd.It is dark brown in color and does take about 45 minutes to 1 hour to dry completely on the hair. I prefer to keep it for 2 hours and then wash it off with just plain water so that the effect lingers on for few days till you shampoo your hair. How does it behave while washing ? If left to dry for a long time, you might need to spend quite sometime to wash it off completely from your hair and your bathroom can become a mess. 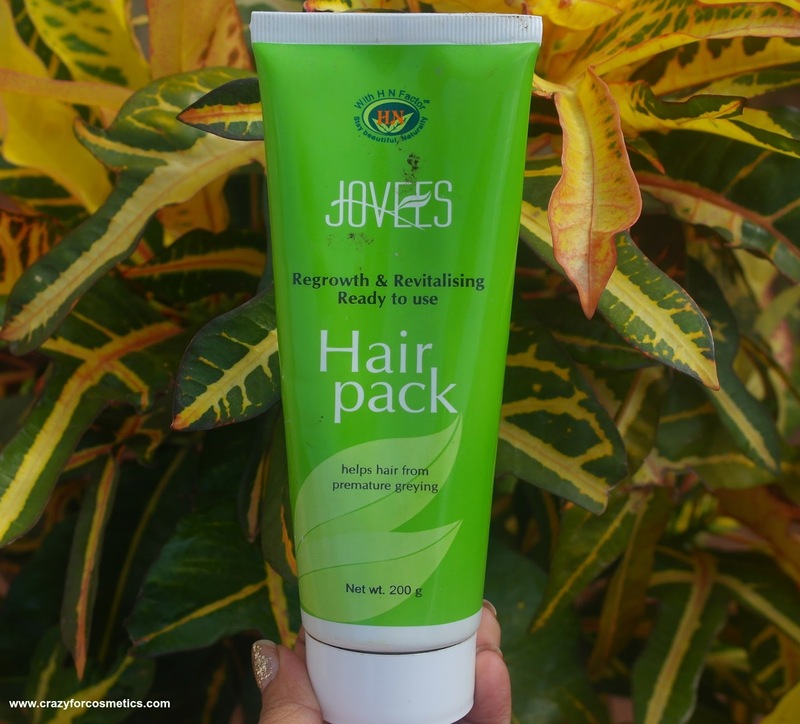 My hair becomes very soft and manageable whenever I use this pack along with the homemade henna pack. Off late I have been losing quite a lot of hair during hair wash especially, but I find a lot of small baby hairs popping up.There is some improvement in the luster of my hair but my ends are still dry.I can prevent early graying of my hair if I use this regularly and to get all the benefits I make sure I use it in combination with my henna pack. Price : INR 165 for 200 gms. It lasts for about 10 - 12 washes. Generally it takes time to observe positive effects in non chemical based treatments and I am sure we can get good benefits from this pack if used continuously for at least 3 months. 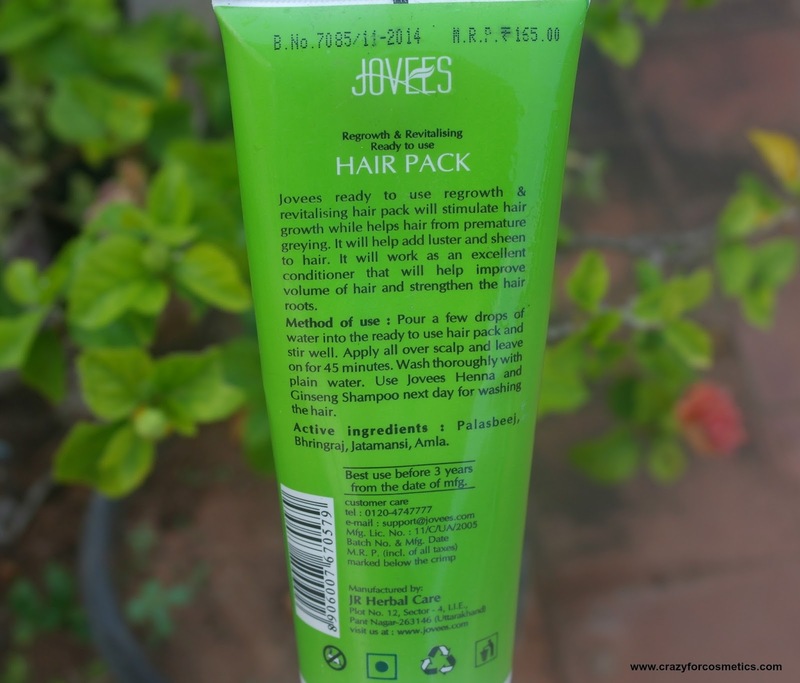 Overall View : It is an affordable,chemical free option for those who wish to pamper their hair at home.